The policy does not apply to holders of Oschadbank's pension cards and online payments. Ukraine's state-owned Oschadbank since 29 March has introduced a fee for the payment of utility bills and bank's offices. In Kyiv the size of fee is 3 hryvnia for one payment, FinClub reported on Thursday. "The commission for utility payments at the bank's cash desks depends on the availability of concluded contracts between service providers and the bank and may vary depending on the region, but it is the lowest in the banking market and aims to ensure the breakeven operation. Cash payments at the box office since March 29 is 3 hryvnya, " said the press service of Oschadbank. 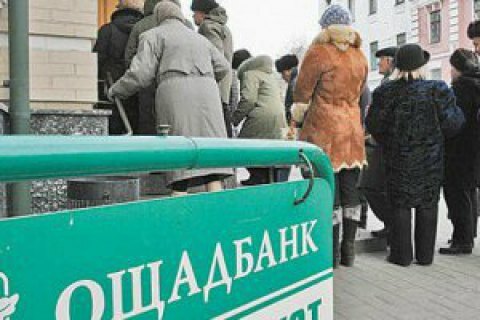 Pensioners will be entitled to pay their utility bills without commission if they hold Oschadbank's pension cards, which the bank will open for free. Other Oschadbank consumers will be exempt from commission if they use remote channels of payment: via cash terminals, mobile applications, Internet banking, gioc.kiev.ua and cks.kiev.ua sites (for the holders of Kyiv Card and My Card). It is the second Oschadbank's attempt to impose service commission. Last November, the bank backtracked on its earlier decision after the criticizing of President Petro Poroshenko, and agreed to postpone the introduction of commission until it develops a mechanism that would allow free payment of public utilities to the poorest layers of the population.